Dill, a type of herb, has thrived in my garden this year. The slender leaves can be harvested at any time and used fresh, or dried for later. Swallowtail butterflies use dill as a host plant for their eggs. 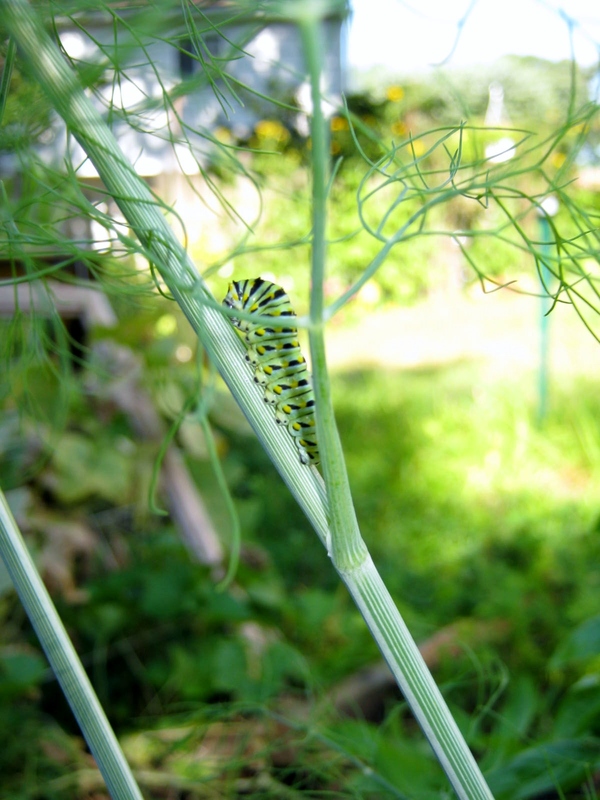 I often find caterpillars dining on my dill. I never pick them off as I plant more than enough dill for both the caterpillars and myself. A little dill goes a long way; the herb is very pungent. 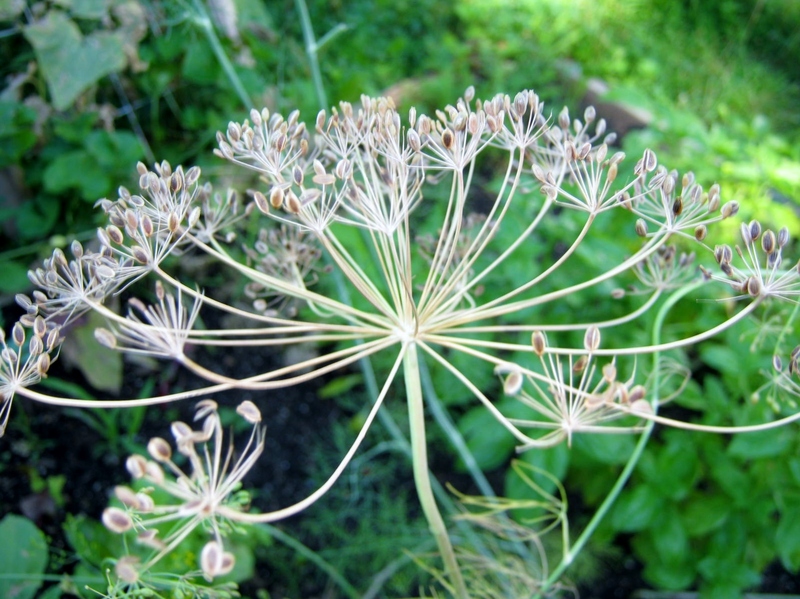 After flowering, the dill will form seed. Allow the seeds to dry, but keep a close watch, and when they easily pull away from their slender stems it is time to cut and harvest. 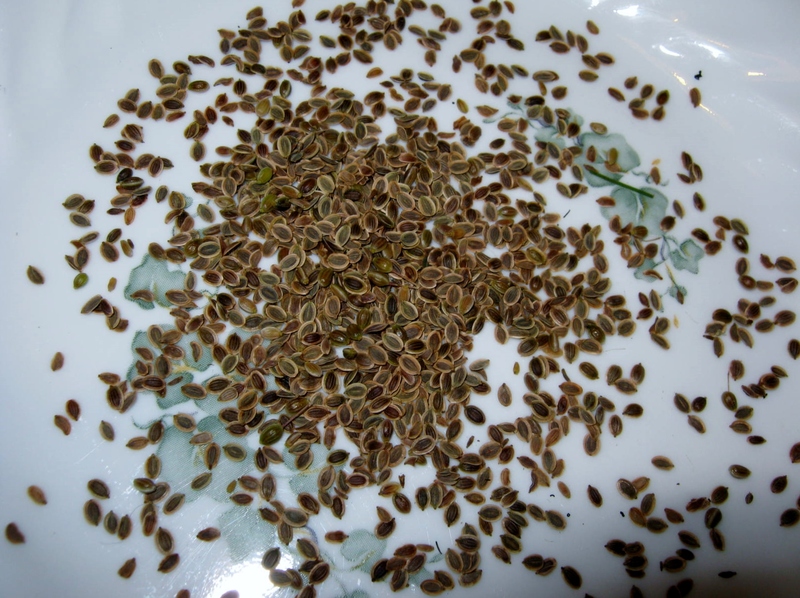 I prefer to do this indoors over a plate to gather every seed. Allow the seed to sit in the open air for a few days to completely dry out. Save a little to plant next year, and store the rest in a jar for culinary uses. As with so many herbs, dill is a powerhouse food for your health. According to George Mateljan Foundation: Dill is one of nature’s healthiest foods. Cucumbers and dill are perfect together. I’ve included a very basic salad I make throughout the summer. Enjoy! Cut cucumbers in chunks, or slice in medallions, or cut lengthwise and slice in half moon shapes. In a bowl combine cucumbers with all the ingredients and stir gently. Cover the bowl, refrigerate for 4-6 hours. If possible, give the salad a gentle stir a few times. Drain before serving. I make this dish every week! I love cucumbers and dill always adds an added dimension to them. Thanks for stopping by today. 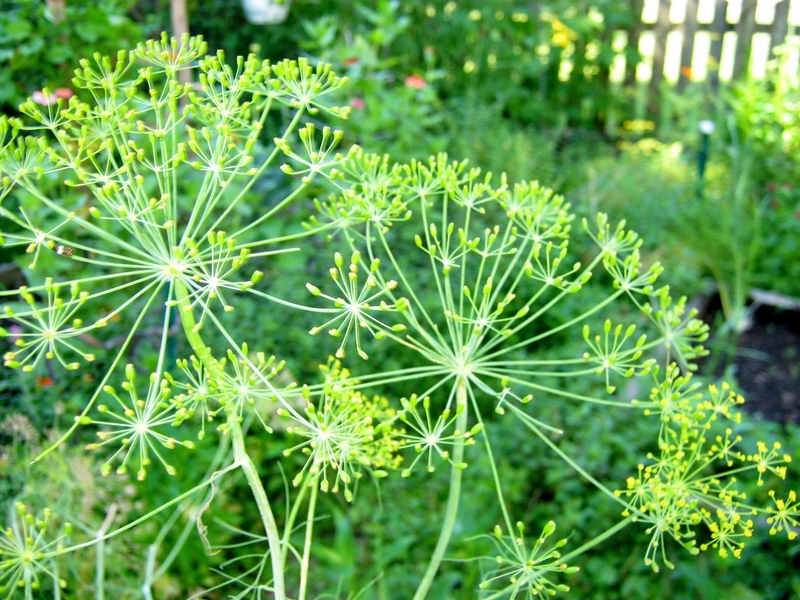 Love dill in dips…and will now try in my cucumbers…Grew some this year!…but, didn’t really know about how to dry and keep…Thanks! You’re welcome! I think it is also so pretty while it grows.